SummitMedia/Springfield MO Names Bo Jaxon New Ops Mgr. Bo Jaxon is named Operations Manager for SummitMedia's four-station group in Springfield, MO, effective immediately. He'll also become Program Director and morning co-host of Country KTTS-FM (94.7) and Operations Manager for the cluster including CHR KSPW-FM (Power 96.5), News/Talk KSGF-AM & FM (104.1) and Classic Hits KRVI-FM (106.7 The River). 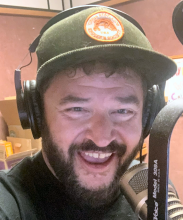 Jaxon, a New Jersey native, comes to Springfield, MO from Denver where he previously served as in mornings at KWBL-FM and before that PD of Hot AC KIMN-FM (Mix 100). Additionally, Jaxon has held PD duties at Cumulus Hot AC KBBY-FM (B95.1) and Sports KVEN-AM (1450 ESPN)/Oxnard-Ventura. Prior to becoming PD at KNNY in June, 2011, he served as the station's Assistant PD and morning personality. Jaxon joined Cumulus/Oxnard group in 2005 and added APD duties for KBBY in May, 2009. SummitMedia Springfield President Janelle Moffett stated, "Bo brings a ton of energy and great ideas to Springfield. I'm confident that under Bo's leadership our stations will be an even greater source of entertainment and information for our community." Jaxon added, "I'm very happy to be a part of the SummitMedia group with the superstar staff in Springfield. Great ideas are flowing, I'm ready to serve our Springfield listeners."